Manchester Central Library has been closed for a few years for a major refurbishment. Recently it reopened and I had the opportunity to attend some Openstories workshops being held there (by the way the workshops were inspiring and well recommended if you are interested in blogging). The workshops gave me the opportunity to explore the refurbished library. I have to say they have done an amazing job at transforming the library. In parts it's recognisable and I want to revisit with my proper camera to spend more time taking photos of the place. 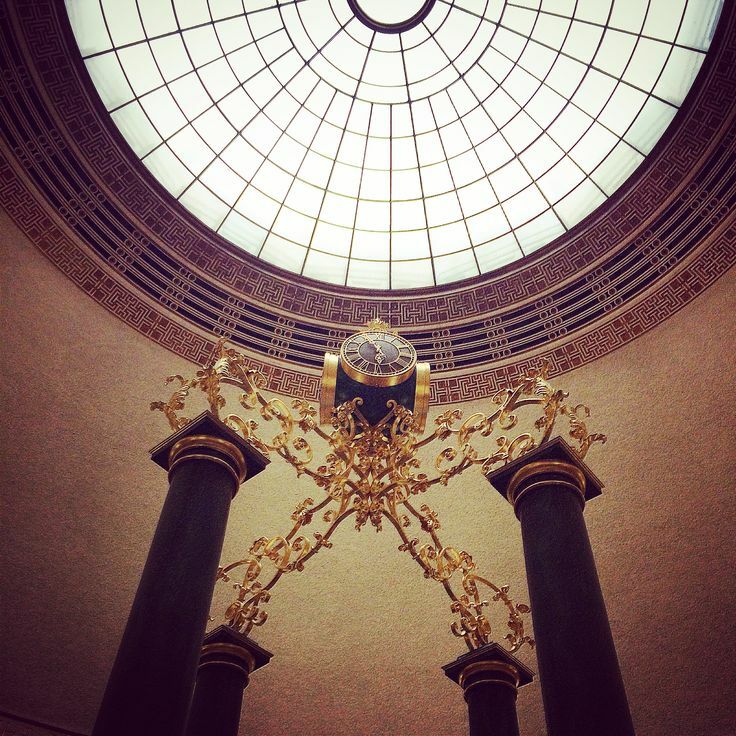 This clock and dome is on the first floor in the main study library. Thankfully they kept much of the original features, but relocated the lending library to the basement and stripped back the clutter. As a result it looks really classy in an academic sort of way. 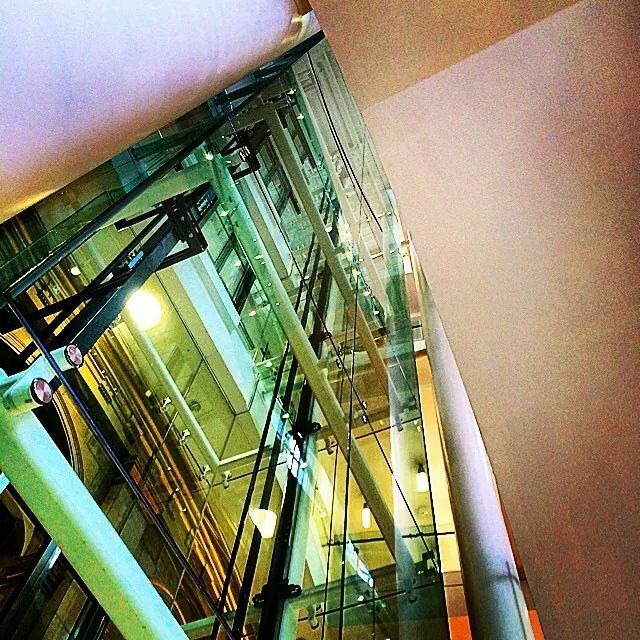 The lift is a new feature with lots of steel and glass. They relocated the lifts to the right hand side and where the the old lifts were have been transformed into the entrance to the newly created ground floor space. 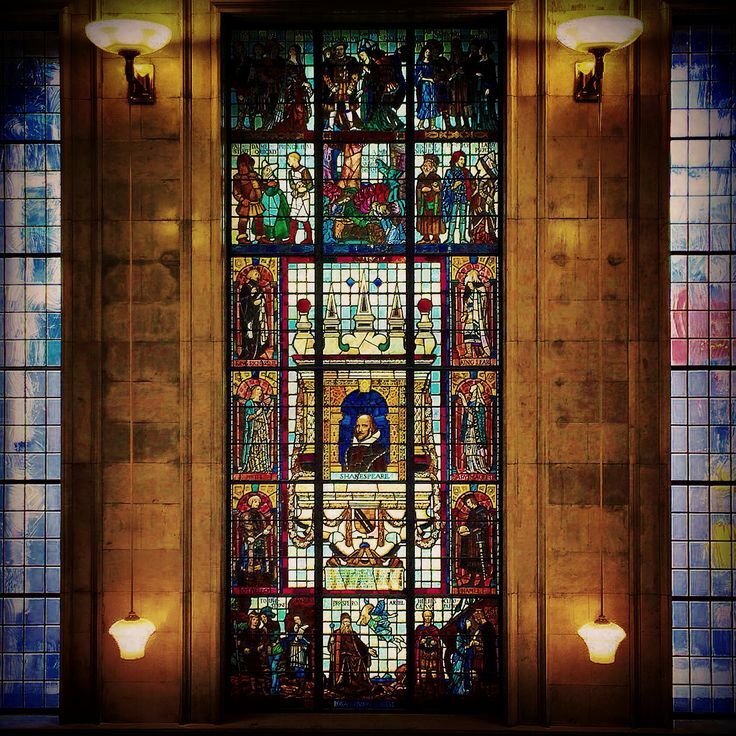 You can see this literary inspired stained glass window from the first floor balcony. I hate to say this, but I never noticed it before now even though it has been here years. Before the refurbishment the desk to check in and out books was here, so all I noticed was the librarians and not the lovely window. The refurbishment created a new ground floor space. I think this space had previously been part of the theatre. Now here is the new cafe, group study spaces, meeting rooms, the archives and Special Collections study rooms. 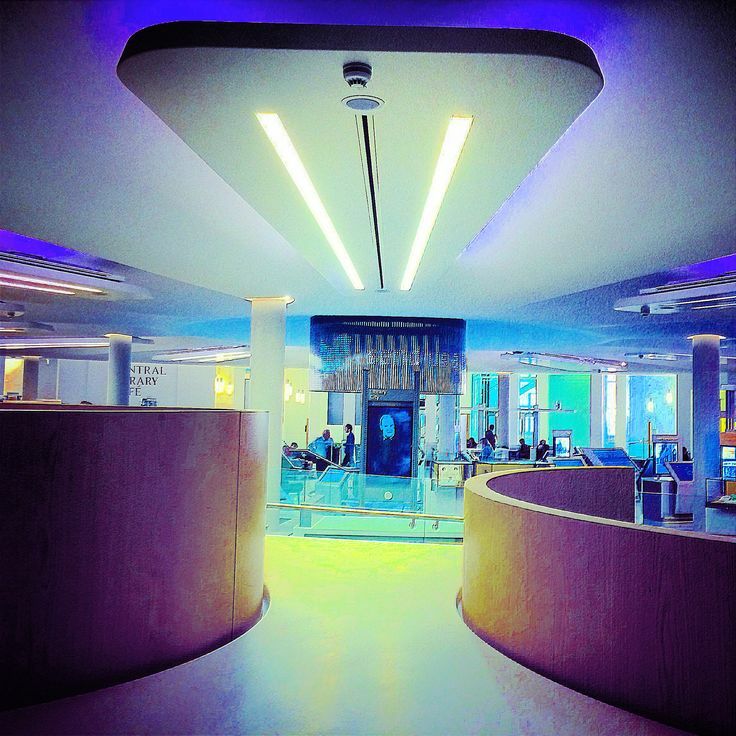 It's very space age with lots of fluid shapes and lines - it certainly brings the library into the 21st century. I really like this picture. It's the view of the exit from the ground floor space. 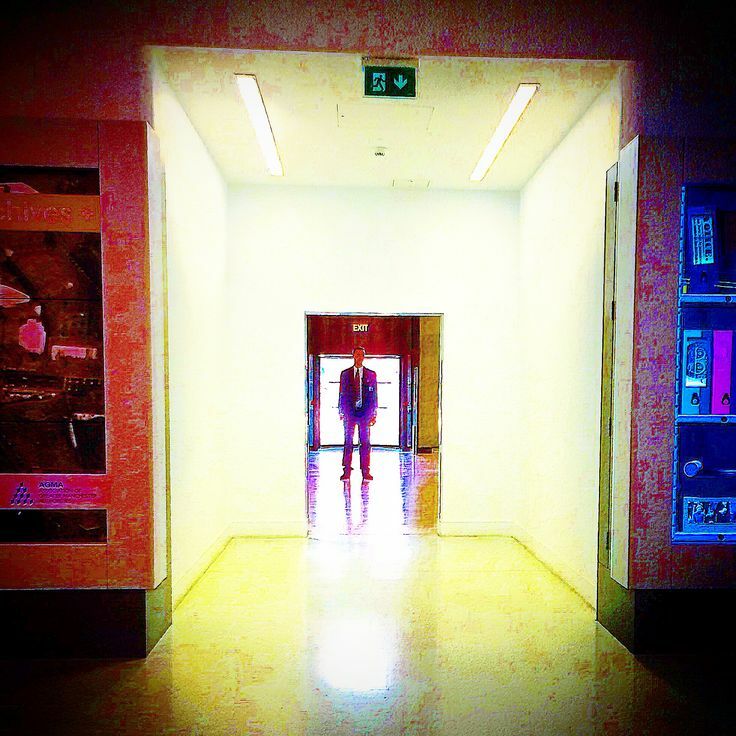 It was a random capture whilst I was passing through. Definitely take a trip to Manchester Central Library. It may still look closed with all the barriers around the building, but it is now open. It's a lovely peaceful and beautiful place to do that piece of work that requires no distractions or to take time out in on a busy day.